How big a chopper can that heli pad take? authorities from Norway, Denmark, United Kingdom and Netherland. The deck is almost enough for an NH90. Hopefully if we had built to order we would have spec'd to have NH90s land on. So buying secondhand lost us a bit of flexibility (with allies as well). How about Seahawks? Just wondering, do Navy pilots fly the NH90's? The ROV / survey vessel Edda Fonn - overall length of 84.7m, a breadth of 18m and a 9.1m moulded depth. It has a registered tonnage of 4,505gt and registers a deadweight of 2,354t. It has a deck area of 700m², a 41m cargo deck length and a capacity of 800t. The vessel has sufficient storage for 1,113m³ of marine oil, 428.1m³ of fresh water and 1,883.1m³ of ballast water. The accommodation includes 41 cabins with 66 beds. The deck equipment includes two Effer 17tm cranes that can carry out a 1.62t lift at 10.29m and a Heila 15tm provision crane that can lift 1.1t at 14.76m. It has a 10t Karmøy tugger winch and a Hydramarine 1.1t 2,500m wire transponder winch. There are two anchor windlass/mooring winches forward and two Karmøy capstans aft. In order to maintain stability there are three anti-rolling tanks and an automatic / manual active heel system with a capacity of 2,000m³/h. The main propulsion is by a diesel electric propulsion plant. There are four 1,820kW diesel powered generator sets giving an output of 7,680kW / 10,445bhp. It provides 690V at 60Hz at a rotary speed of 1,800rpm. There is also a 388kW harbour generator with a 690V / 60Hz output at a rotary speed of 1,800rpm and a 99kW emergency generator producing 690V / 60Hz at 1,800rpm. The Edda Fonn is driven by two AC asynchronous water-cooled motors each rating 2,200kW (2,992bhp) at 1,192.5rpm. The vessel is equipped with two diesel-electric driven Steerprop ST-35 azimuth propellers. The propellers have a diameter of 3m. There are also two electrically-driven tunnel thrusters located in the bow with an output of approx. 1,150kW each. In addition, there is a super-silent type and a retractable thruster with an output of 1,350kW. This gives a maximum speed of 15.5 knots at 30t/day or, for economy, 13 knots at 14t/day. It uses 6t/day for DP-operations (dependent on weather). I believe this ship was built in 2003, so will it be considered half life or less? This suggests we may get 20 years use out of this hull. It appears to have only one Rigid Hull Inflatable Boat whereas all our other Navy vessels carry 2 Rigid Hull Inflatable Boats. So I presume some modifications on the Starboard side to carry another? I can see this vessel doing a lot of the offshore island support work such as Auckland Islands and Kermadecs, currently done by the OPVs. Yes suspect you're right about 20-25 years would be my pick, and it'll be a fairly busy vessel in that time. Beside the obvious military spec comms etc potential mods to be done could be 2 x RHIBs; a small arms armoury; HMG's (manual or preferably mini-typhoon)... and lots of grey paint! She'll be good for re-supply where there is wharf access but without the ability to embark a chopper (versus just operate one) it can't take one with it. For many of the island resupply jobs (eg: Raoul Island) a chopper is essential. A little nervous about the age but these are generally robust vessels, main concern is likely to be the state of the electrics, hydraulics, mechanical etc. Just hope they've done their homework & that they spec the work required properly. Well they have obviously not done their homework on the frigate upgrade with it blowing out by an 'unforeseen' extra $150 million, necessitating the purchase of this bargain basement version of what they actually wanted. Honestly we cannot really trust any Navy purchase, they seem to be completely incompetent. And why they are spending the cost of a new frigate to upgrade our old ones with a couple of weapons I'll never know. The ships are totally worthless to this country, a huge money hole that could be spent on real defence assets. The Frigates are far from totally worthless to NZ. They play a major part in our country's contribution to the FPDA, as well as counter piracy operations etc. To expect an island nation which relies on the security of her sea lines of communication to have no surface combat capability is pretty short sighted. There's been a Navy LTCDR on 3SQN for a while, but he might be a QHI on A109s. The Frigates are far from totally worthless to NZ. They play a major part in our country's contribution to the FPDA, as well as counter piracy operations etc. How many pirates have they caught in our waters? Or that were affecting our sovereignty? To expect an island nation which relies on the security of her sea lines of communication to have no surface combat capability is pretty short sighted. I agree. I did not say we do not need the capability. I think the frigates are the wrong ships for the role. In our actual sovereign waters, the main issue is illegal fishing... but doing the pirate patrols around the world, is doing our part in keeping those sea lanes open which "We do Use" for trade. First you guys get rid of your Air Force and now your Navy. Just kidding...the old girl is being put to a fantastic use. Just wait till they get it and find out they have been duped, it's not a warship! A Newcastle couple who searched for a boat online are now the proud new owners of an ex-New Zealand warship. Paul and Wilma Adams have sailed their 44-metre ship, the decommissioned Royal New Zealand Navy dive tender Manawanui, across the Tasman and docked it at their hometown of Carrington. "Overwhelmed. WTF," Ms Adams said of how she felt about owning the ship. The Manawanui is built for diving missions in the middle of the sea. It has a decompression chamber, a domed bell for deep diving and a 15-tonne crane for heavy lifting overboard. The Adamses plan to use their ship, bought for a sum in the vicinity of "a few hundred thousand dollars", to preserve the fuel-laden, mostly Japanese vessels that sank in the South Pacific during World War II. Many of the wrecks are corroded and starting to leak oil from the ocean floor. The Adamses have feared a looming ecological disaster ever since they visited Micronesia's Chuuk Lagoon, where the US Navy sank dozens of Japanese ships in Operation Hailstone in 1944. "While we were diving on one of the ships we saw this huge blob of black oil come out, drift up to the top and disperse," Mr Adams said. "The long and the short of it is, nothing's being done. "So we decided we'd do something." The couple plan to lock guard the wrecks against leakage by using cathodic protection, with blocks lowered underwater from the Manawanui. The method works by guarding vulnerable metal against corrosion by making it act as an electrical cathode. Responsibility for the 70-year-old wrecks of the South Pacific has grown murky over time. Many of the ships were once part of the Japanese merchant navy. A corrosion survey of the Chuuk Lagoon in 2002 by Dr William Jeffery, a maritime archaeologist and assistant professor of archaeology at the University of Guam, found that "many of the wrecks … will retain their existing integrity for only the next ten to fifteen years before they begin to undergo significant collapse". Dr Jeffery, who is advising the Adamses, said the governments of the Federated States of Micronesia, USA, and Japan all have conservation or historical reasons to protect the wrecks, but Japan's surrender of its weapons at the end of the war might legally clear it of responsibility for its sunken ships. Nonetheless, a Japanese group called the Japanese Mine Action Service is currently in Chuuk doing a clean-up. Dr Jeffery said his contacts in Chuuk and Micronesia are happy to work with the Adamses, subject to their mission being funded — the couple are appealing for financial and in-kind help through their website. "The project will need permission and support from the Chuuk and [Micronesian] governments," Dr Jeffery said. "So while it's a private mission, it will be implemented in accordance with the laws and procedures required by these governments. "The archaeological, social, cultural and biological values of the wrecks will be taken into account, but they won't be a focus at this stage and everything will be done not to impact these values." 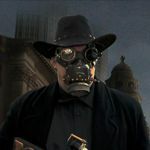 For Mr Adams, the mission has become a consuming passion into which he has poured thousands of dollars and countless hours. Buying the ship was just the beginning, he said. "It just keeps flashing red lights that this is urgent, and nobody seems to be picking up on that just yet," Mr Adams said. "There's about 3,000 wrecks out there. Three hundred of those were oil tankers. They're at the bottom of the ocean, and they're starting to leak." In August this year the Minister of Defence announced the purchase of the Norwegian survey vessel Edda Fonn to close the capability gap created with the decommissioning of the survey ship HMNZS Resolution and the dive tender HMNZS Manawanui. This announcement came after eight busy months for the Diving and Hydrographic Vessel (DHV) project team of business case writing and undertaking a robust but rapid selection process that would enable the purchase of a vessel to meet the NZDF requirements within the set budget. The Diving and Hydrographic Vessel (DHV) project was previously known as the Littoral Operations Support Capability (LOSC) project, which aimed to procure a vessel for advanced force operations in the littoral environment. At the end of 2017 $148 Million was reprioritised from the project within the defence capability portfolio, thereby reducing the available budget for the project. As a consequence of the reprioritisation of funds, the project was re-scoped and the LOSC project deferred. In order to fill the capability gap from the decommissioning of HMNZS RESOLUTION and Manawanui $103 Million was allocated to the project to purchase a diving and hydrographic vessel. This essentially meant putting on hold the advanced forces role associated with the LOSC and instead focusing solely on diving, hydrography, search and recovery, maritime presence and naval training outputs. Recent years have seen a downturn in the oil and gas industry and a subsequent surplus of survey and offshore support vessels due to falling demand for that particular type of vessel. This presented an opportunity for the project to acquire a good quality second-hand vessel at a competitive price. It also presented the challenge of selecting and purchasing a suitable vessel in a relatively short period of time in anticipation of a rebound within the oil and gas industry. The project engaged with a world leading shipbroker to narrow down potential options. This resulted in a shortlist of 25 options from an initial list of 2500 ships. These 25 ships were then reduced down even further (based on the project requirements) to eight ships. In February this year, the project visited six of the eight options (two were removed when it was confirmed they were no longer for sale). Out of these final six options, one particular vessel came out as a clear contender due to its configuration, capability, materiel state, size and likely cost. This vessel was the Edda Fonn. The work did not stop there though. In order to ensure that we were getting a suitable ship in good condition further investigation was conducted. This involved ongoing meetings with the current owners to determine a suitable purchase and modification package as well as independent survey of the ship’s condition both internally, externally and underwater. While the vessel is 15 years old, it was pleasing to note that the surveyor made specific comment that the ship was in a condition expected of a vessel five years younger than what it actually was. This confirmed the project’s understanding that the Norwegians build good ships and they look after them really well. 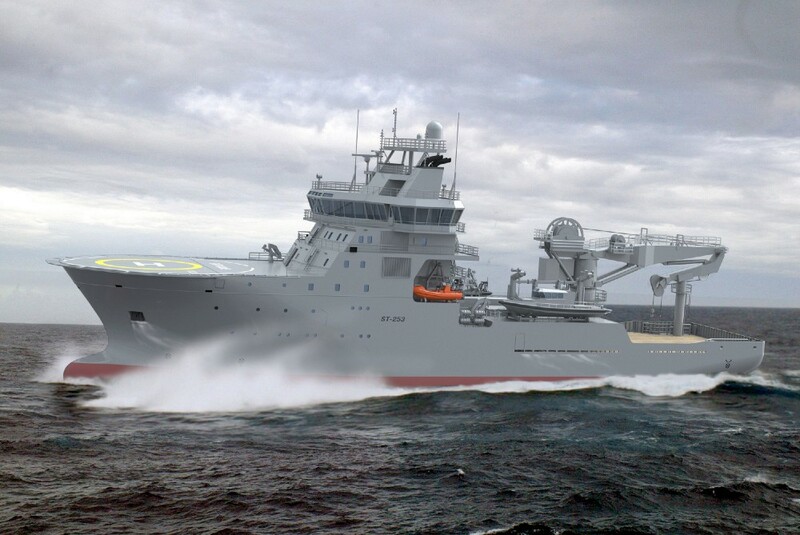 With all the due diligence done on the purchase of the vessel a contract was signed with the current owners in late August to purchase the vessel and for them to undertake the first stage of modifications to the Edda Fonn to make it mission capable for the RNZN. The Edda Fonn will undergo the first stage of modifications in Europe in January 2019 which is expected to take up to two months. The first stage modifications involve the fitting of the hydrographic systems, the Surface Supply Breathing Apparatus (SSBA) system and wet bell, dive recompression chamber, underwater Remotely Operated Vehicle (ROV), boats davits and a new engine as well as some minor superstructure work. On completion of these modifications the ship will sail to New Zealand under a commercial crew but with RNZN personnel embarked to gain experience operating the ship. On arrival in New Zealand, currently planned for May 2019, the ship will be formally handed over to the NZDF and commissioned as HMNZS Manawanui. The ship will then undergo a second stage of modifications to fit it out with Military specific equipment such as the armoury, magazines, communications, damage control equipment and any other equipment required for the ship to conduct military operations. The stage 2 modifications will complete in October 2019, signalling the significant milestone of the ship being ready to proceed to sea under the NZ White Ensign and RNZN crew. The remainder of 2019 will be dedicated to acceptance trials and developing core mariner skills operating the new vessel. The rubber will really meet the road in 2020 when the Manawanui will start releasing capability in conjunction with HMNZS MATATAUA. The capability release programme will see the release of hydrographic operations, diving (SSBA and detached diving), Maritime Explosive Ordnance Disposal (MEOD), salvage operations and limited Mine Counter Measure (MCM) operations. The aim is to fully release Manawanui’s capability by the end of 2020. 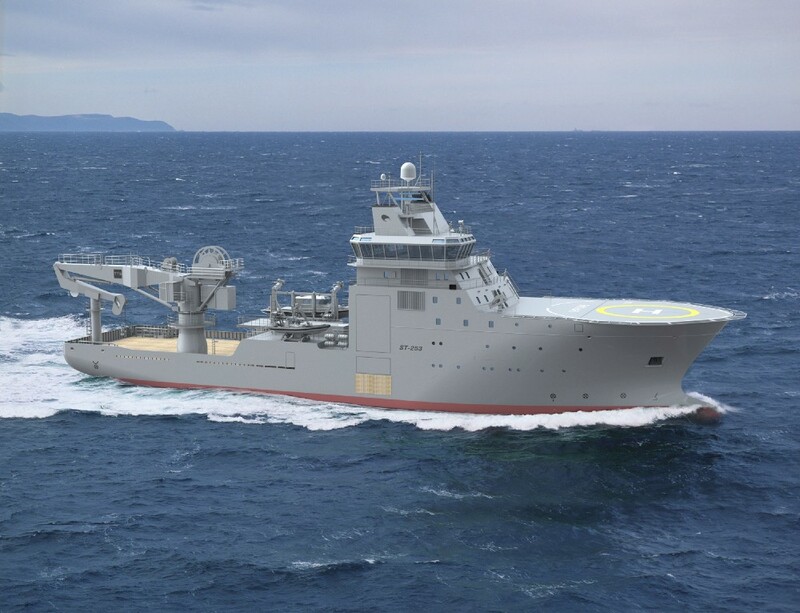 While the new Manawanui has been purchased to fill the capability gap left by the decommissioning of the previous Manawanui and RESOLUTION, developments in technology mean that the new Manawanui will be a ‘step up’ in capability. A key feature is its Dynamic Positioning (DP) system. This means that the ship can “hover” over the sea bed and remain in position whilst the ship conducts operations such as SSBA diving or underwater ROV operations. This is a significant enhancement from the previous requirement to anchor the ship using a four point anchoring system. The SSBA diving will be conducted through a moon pool arrangement which is essentially access to the sea through a pool built through the hull. This provides protection from the elements for the divers whilst conducting SSBA operations. The hydrographic systems will also be modern and state of the art, able to cover large areas in a short period of time and will allow the RNZN to survey to greater depths with more accuracy than ever before. The ship also comes with a 100-tonne subsea crane, giving the Manawanui a significant ability to lift objects from the sea floor. To put this in perspective, the old Manawanui had a nine-tonne crane and the OPVs have a 15-tonne crane. CANTERBURY has a 50-tonne crane. The next ship to bear the proud name Manawanui represents an exciting opportunity for the RNZN to revitalise the capabilities that were lost with the decommissioning of MANWANUI and RESOLUTION. Once Manawanui’s capabilities have been released it promises to be a very busy and versatile ship and a key asset for the Government of NZ. It looks like Buzz Lightyears design. And no you cant trust the Navy ( or Army for that matter ) to select the right kit. How come it takes years to introduce a new toy into service ( NH90 ) yet Air NZ has their new 787s earning $$$ within a week . Even the Army's lastest bang bang doesnt go bang , rather embarrassing if you pulled the trigger. I said years ago ( nobody listened ) that our Navy should be buying US Coast Guard vessels , even second hand . Long range , good crew facilities , ocean going ( think Alaskan and Aleutian waters ) have a pop gun and are IRB capable . Nobody will listen as Defence think that they always need big ticket items . Yet a Hiluk with a bunch of 50 cals in the tray seem to hit the spot in many places and the hard tipped $5000 rounds that are fired against them just go right through.So then you need a laser guided $2 million missile to do the job ,and I think thats how the Defence industry works . So never ask them how to crack an egg. That is a harsh assessment. My understanding is that the crews who begin flying the 787 have all undergone an intensive conversion training course to type, which involved a lot of simulator work, book learning and other work including flying before they get to take on the airline's new pride and joy. It is of course times so they are fully trained up and ready to go the same week the new aircraft arrives, and they probably have several crew members who have experience on the type already who've been brought in from other airlines. Plus all those pilots are used to big airliners with glass cockpits that have similar systems so it is not a huge stretch. The conversion from Iroquois to NH90 however was a massive leap for the pilots, crews and groundcrews in technology and philosophy. Some of them had experience through exchanges with Germany but they would then have to train up all the other existing crews, as well as new crews coming through, on the job. Plus the NH90 was not as long a transition into service as people seem to think. I don't think it was any longer then say the conversion of No. 5 Squadron from Sunderlands to Orions, an equally huge leap. And when you remember we have limited numbers and a limited budget, plus the eyes of the country on them, all care must be taken to do the transition well and get it right. I think that they did very well. Another recent fleet upgrade that went extremely well was the Airtrainers to Texans. Another massive leap in technology and it seemed to go without a hitch. Realistically only one student course slot was lost I think, as it was filled by instructors converting to the new type. Not sure where you get your mis-info from, but the new bang bang(technical term?) definitely does go bang bang. Though i would suggest you squeeze the trigger, if you pull it its likely to go as far off target as your mis-info!. OK, save a few dollars, stick the defence force pers in Hilux's with a .50cal mount...then wait for the howls and enquiries when one of them gets killed. Its better value in the end to get decent kit from day one. That takes time and truckloads of research, all of which is under constant scrutiny because the taxpayer demands transperancy for the $ spent. As to the 'why does it take so long?' query, Air NZ makes money out of their purchases, NZDF/Govt. don't, so that is likely to be part of it and i think you will find that there is also a lot of years and backroom research before any commercial announcements are made. One has to remember what the NZDF want and what they get are two different things... airforce originally wanted the UH-60 Blackhawk an off the shelf machine. The army only wanted something like 50 LAVs and some form of tracked vehicles including 20 odd main battle tanks. The navy didn't want HMNZS Canterbury there was another option that was given for similar cost but much better capabilities that would have been better as it had a well dock. The navy wanted ESSM, not Sea Ceptor, the navy wants (and should have) Harpoon... but doesn't have anything we only got a true medium range anti-ship missile when we got the Aussie SH-2G Super SeaSprites. The nave didn't want the SeaSprites they wanted the Westland Lynx. The navy didn't want the Vulcan Phalanx they wanted GoalKeeper (CIWS).